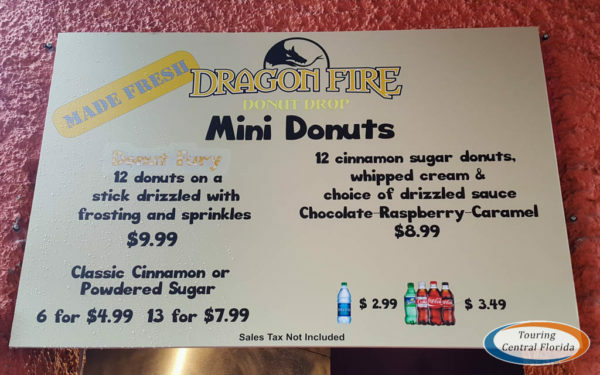 A brand new culinary spot opened at Busch Gardens Tampa Bay today – Donut Drop at Dragon Fire Grill. 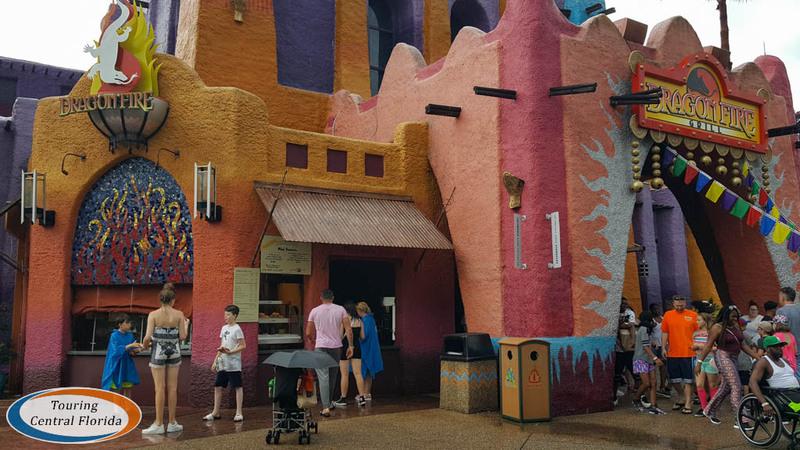 The kiosk can be found just outside the entrance to Dragon Fire Grill. 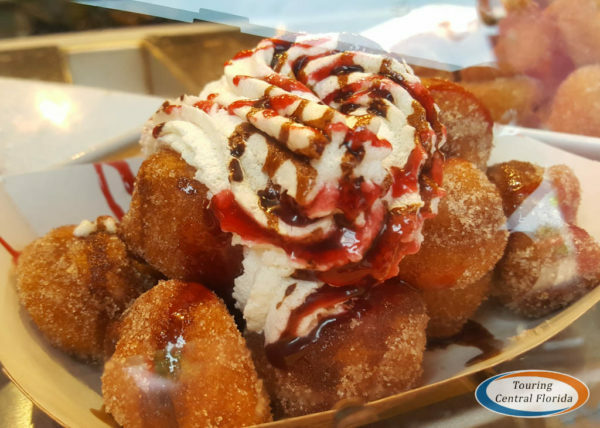 The feature item on the menu is the Donut Fury, a sweet companion to the Bacon Pretzel Fury, located nearby in Twisted Tails Pretzels. Both items are a play on the 335-foot drop tower at the center of Pantopia – Falcon’s Fury. 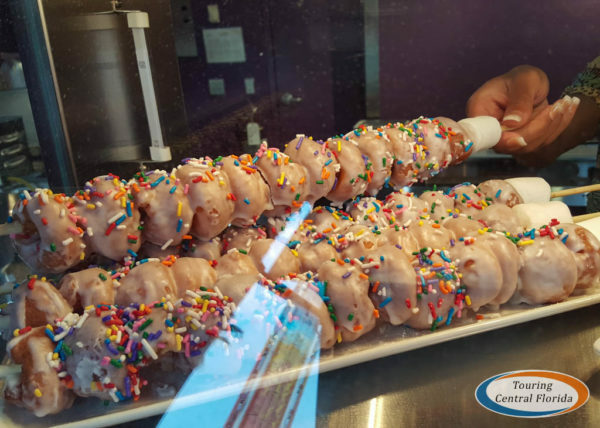 The Donut Fury is a dozen freshly made mini-donuts stacked on stick, covered with frosting and sprinkles. The park promoted the new offering today on social media. 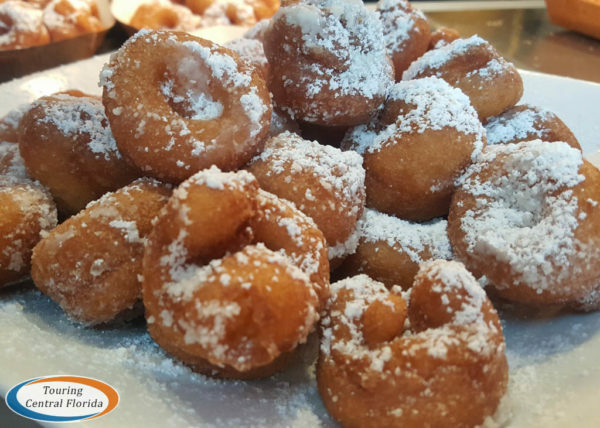 In addition to the Donut Fury, Donut Drop also offers classic cinnamon or powder sugar donuts, or a boat of 12 with whipped cream and topped with a sauce of your choice. 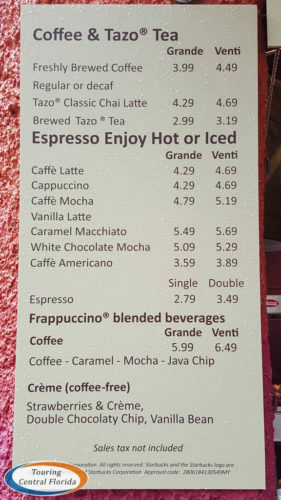 The kiosk also offers Starbucks brand coffee products, teas, and bottled beverages. 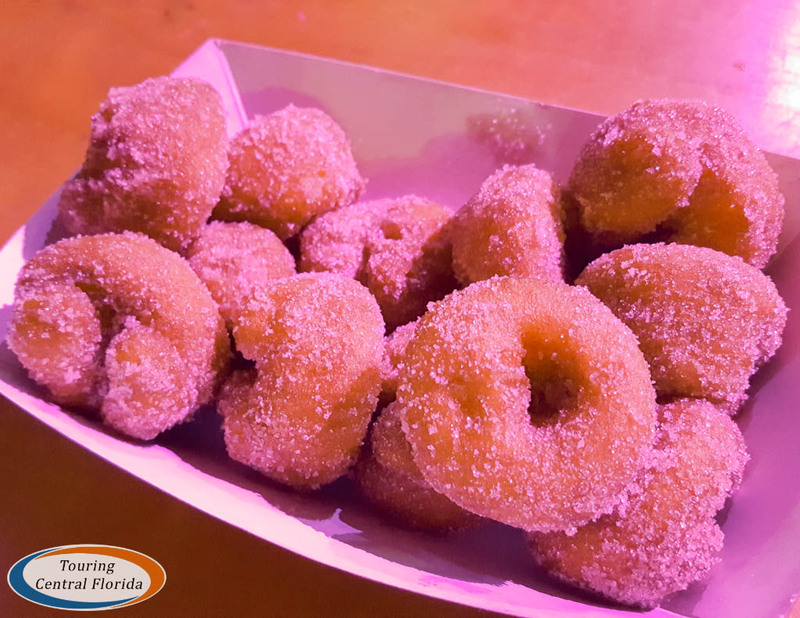 I tried the Classic Cinnamon Sugar Donuts, and they were delicious. Since they are made fresh right at the kiosk, they were still warm. I look forward to trying the Donut Fury soon! We tried these at Sea World during the Christmas holiday season. They were the perfect snack! I wonder if they’ll sell cider to go with the cinnamon donuts in the fall? Ooh, that’s a great idea. Seasonal offerings with different toppings would also be a great way to keep it fresh.